Many Pentecostal children’s pastors have a difficult time having altar ministry for children because they’ve never been trained in how to minister at the altar. 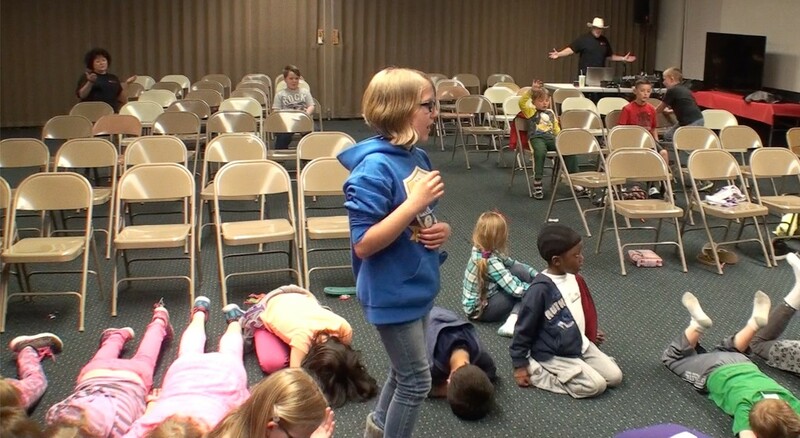 Some children’s pastors fumble through it praying for each children’s sore finger or lost dog, and some throw up their hands and stop having altar ministry all together. But don’t give up hope. 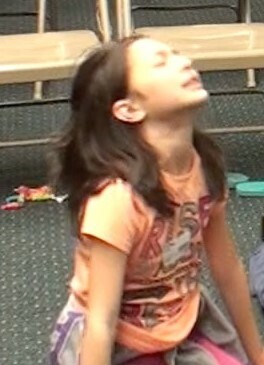 Altar ministry is an important part of Pentecostal children’s ministry. First, explain what they should do and what might happen at the altar. I do this long before the altar call, so if they have any questions, it won’t delay it. I start this by telling the children that I will call them up front. Music will play, and I want them to focus on worshiping God. They can sing, close their eyes, lift their hands, ect. I let them know that I’m not going to pray for them right away. When I do, I will place my hand on their heads. At this point, I let the kids know some things that might happen. They might fall down (slain in the Spirit), but if that happens, someone will be behind them to catch them. Make sure you workers know to be catchers. They might cry. They might laugh. They might start to stutter or speak in a language they don’t know (baptism of the Holy Spirit). They might want to kneel, or shout, or dance, or run. Any of these things might happen, and that’s okay. Also none of these things might happen, but they might feel the presence of God strongly on the inside, and that’s okay too. Sometimes the children will have questions like, “If I fall down, how long should I stay there?” My answer to that is always, “As long as you want to enjoy the presence of God on the floor, go ahead and stay there. If you want to get up, that’s okay too. Whatever the questions are, try to answer them. Invite the Holy Spirit into the Place. This is vital. We are not having altar ministry just for the fun of it, although it is fun. We want the Holy Spirit to move on these children. It’s amazing what happens when you take a moment at the beginning of the service to invite the Holy Spirit to move. Don’t be in a Hurry. Allow the Holy Spirit time to move once the children are at the altar. 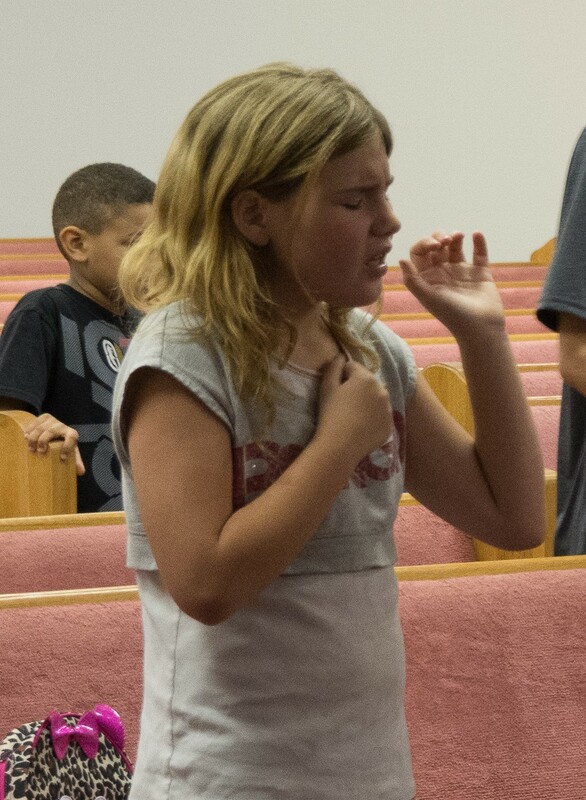 Sing praises and worship and speak in tongues out loud so the children can hear you and encourage them to worship. During this time, don’t tolerate disruption or misbehavior at the altar. If a child is being disruptive, warn him or her. If he persists, have him sit quietly in the back of the room with a worker. Wait for the glory of God to enter the room before doing anything more. Remember, this is God’s show. We need to obey His leading. Make sure your workers know what to expect. Each worker should be instructed ahead of time. You’ll need a worker behind each child you are praying for. That worker should place his hands on the child’s back firmly so the child knows it is safe to yield to God. Someone is there to catch him or help him. When you feel the Holy Spirit lead, lay hands on each child. Leave your hand on each child until God moves. Sometimes that will be a minute or two. That’s all right. Don’t pray out loud or say anything unless God tell you what to say. Just allow the Holy Spirit to do what He wants. Then move to the next child. Observations and Testimonies. If you observe anything unusual like a cloud or a fragrance, point it out to the children. Observe how fun it is to be in the presence of God. Allow children to testify at this point what God is doing or has done at the altar. 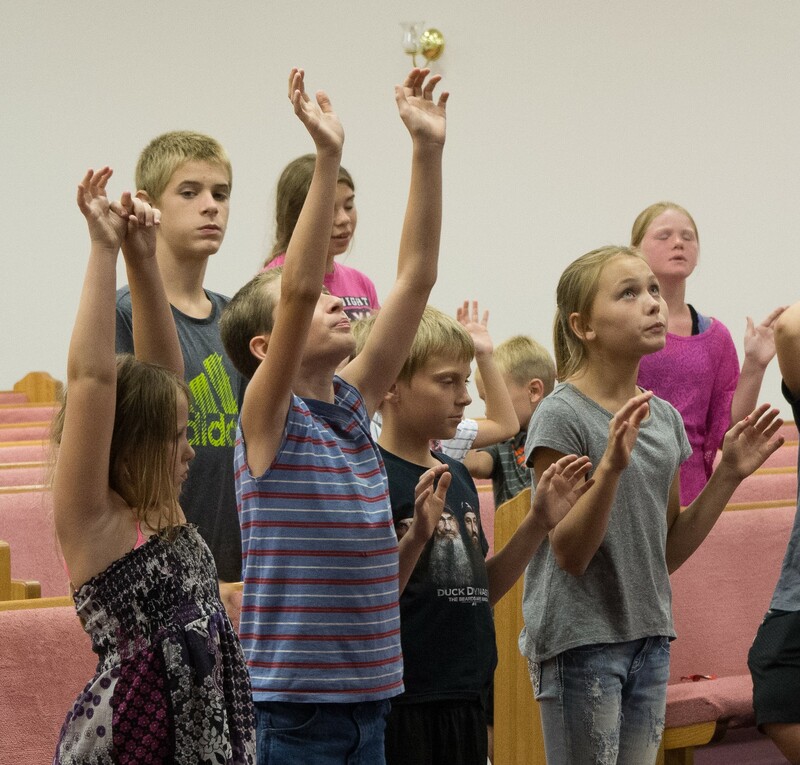 Sometimes it takes time for children to get to the point of yielding to what the Holy Spirit is doing depending on how use they are to being in Holy Ghost filled services. You might want to do some teaching on it to prepare the children. Continue inviting the Holy Spirit to show up every week until the children are receptive. Once that happens, this is what they’ll want every week. As I always tell my students, being in the presence of God is more fun that anything else. This entry was posted in Children's Church, Encouragement For Children's Ministers, Kids and the Holy Spirit, Kids In Revival, Revival/Praise and Worship. Bookmark the permalink. Revival Fire for Kids Curriculum is Here! Any products Tamera Kraft reviews on this blog have been received as a gift by the author or publisher in exchange for a review on this blog unless otherwise stated. Gifts of products do not guarentee a good review. Also some products Tamera Kraft reviews have been written by Tamera Kraft and are for sale on Revival Fire For Kids website store. These products' profits go to Revival Fire For Kids ministries when sold. Any links or resources listed may profit Revival Fire For Kids. If you contact Revival Fire For Kids, your email address will be kept private and will not be distributed for any reason.